See what’s new in practice management and the latest dental software phenomenon that is sweeping Canada coast-to-coast. Schedule your FREE lunch and learn this April. Contact your local Ottawa ClearDent Representative Jason Kennedy and schedule your Lunch and Learn and to find out more about our Spring Conversion Specials. PS — Are you going to the ODA Annual Spring Meeting? Be sure to visit us at booth 1940 for your free gift. ClearDent Information Session in Calgary and Edmonton! If you're going to buy new software, shouldn't there be some new thinking behind it? Explore the ways that information in the office can actually work with you to benefit the practice and the patient. Learn how offices across the country are using technology to their advantage. ClearDent Advanced User Training in Calgary and Edmonton! ENHANCED! 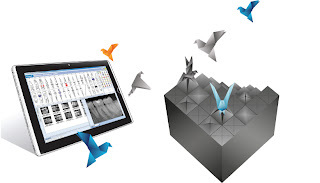 Find out how tooth drawing can make your odontogram even more descriptive. Attendees will receive 4 CE credits upon completion. 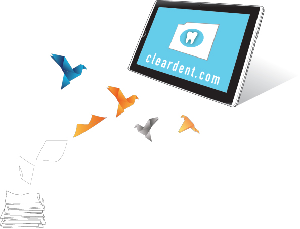 You will learn in-depth knowledge of the ClearDent software. You will also receive a free one-hour online session with one of our trainers to discuss individually or as a group on how to apply the knowledge in your specific practice. The course is designed for ClearDent users that have a minimum 6 months of experience. 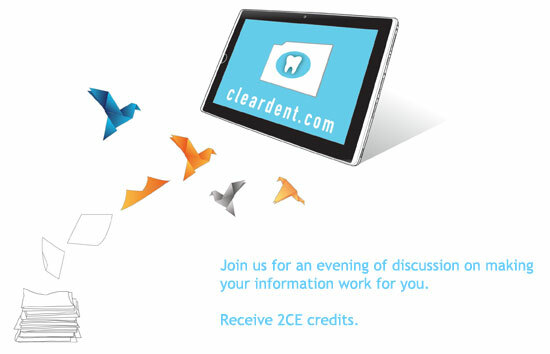 *SPECIAL PROMOTION: Contact us by phone at 1-866-253-2748 x 299 and refer a colleague or a friend that works in another dental practice not currently using ClearDent to our Information Session in the evening, and you will receive 50% refund on the registration fee when your referral completes the session!